Home with Bronze Fortified Roof in River Station Subdivision Fairhope AL! 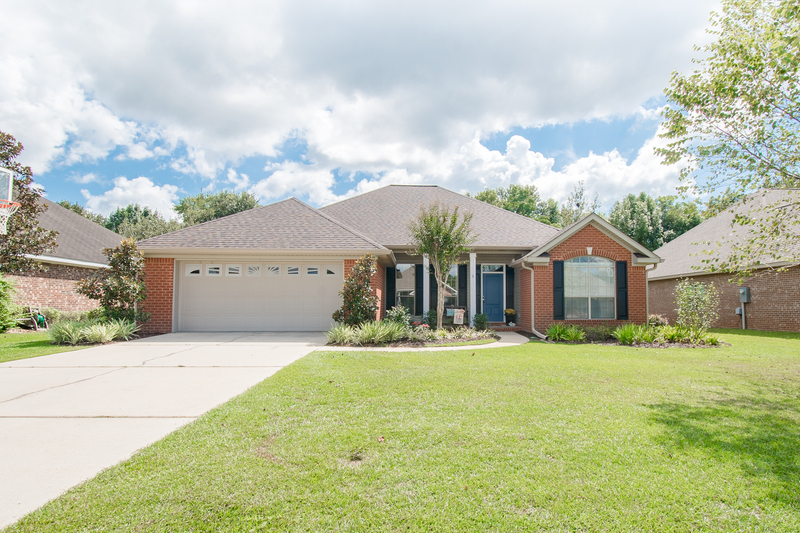 Save BIG and enjoy life at this Home with Bronze Fortified Roof in River Station Subdivision Fairhope AL! Being from out of town, the current sellers had no location in mind when looking for a new home, so they looked at houses all over the Eastern Shore. They toured dozens of homes and each one made them feel like they had to compromise too much to get something in the budget… until they found this home! The quality was everything they were looking for in a home and they could see themselves raising their family here. The couple was not concerned about schools in the area because at the time they only had 1 child who was just 6 months old so his school career was still far away. However, after looking all over the Eastern Shore and talking to people about the schools, they felt like it was a definite perk to be in the Fairhope School District. Over the past two years, the sellers have installed hardwood floors, new carpet in the master bedroom, painted the entire inside of the house, and done extensive landscaping. With that being said if you love a tastefully landscaped home then you can STOP THE CAR! WE HAVE FOUND IT! Also, the sellers have put on a new Bronze- fortified roof installed in summer 2016–which, if you know anything about the Bronze- fortification, then you know it will give you a discount on your homeowner’s insurance. Come Tour this Home with Bronze Fortified Roof in River Station Subdivision Fairhope AL with the Jason wIll Real Estate Team 251-866-6464!